If I were a stereotypical film critic, I'd describe Hawkeye #5 as a non-stop thrill ride. Thankfully, I am not a stereotypical film critic, so I won't say that even though it's an accurate description. This book is so much more than that, building off the standard action hero tropes and blowing them away with its' own comedic style. Trying to describe the story of this issue is pointless, as it all amounts to one glorious extended action sequence. 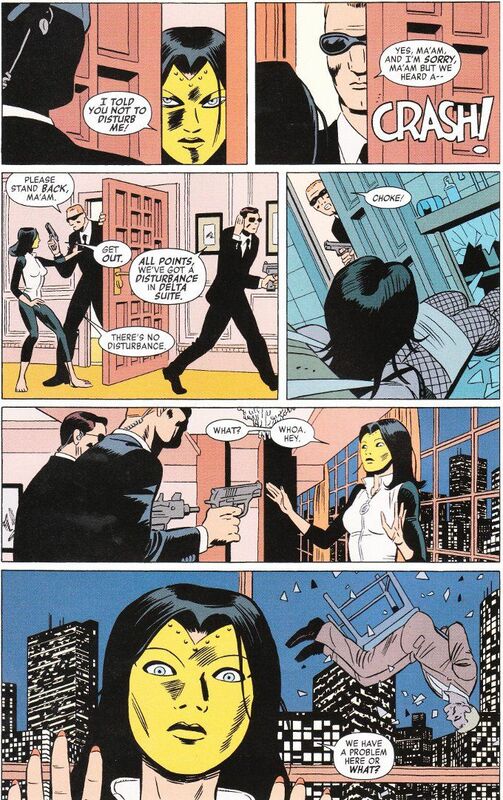 Matt Fraction's plot of a tape depicting Clint Barton assassinating an infamous terrorist being auctioned off to the highest bidder is entirely incidental to the madness which ensues, including Clint's sidekick deciding to recover the tape on her own by impersonating Madame Masque. The artwork is equally manic. 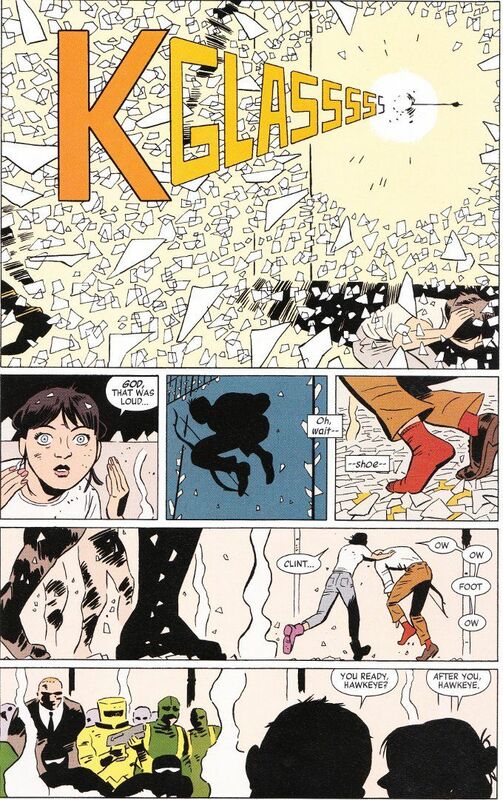 Javier Pulido depicts this issue with a Mighty Marvel style that would do Jack Kirby proud. The use of perspective and close-ups is quite good throughout. The only flaw this issue has is the same ultimate problem with all two-part comics. You do have to have read Hawkeye #4 to really appreciate the set-up of this issue's situation. With that caveat, I have nothing but nice things to say about this issue in particular or Hawkeye as a series.